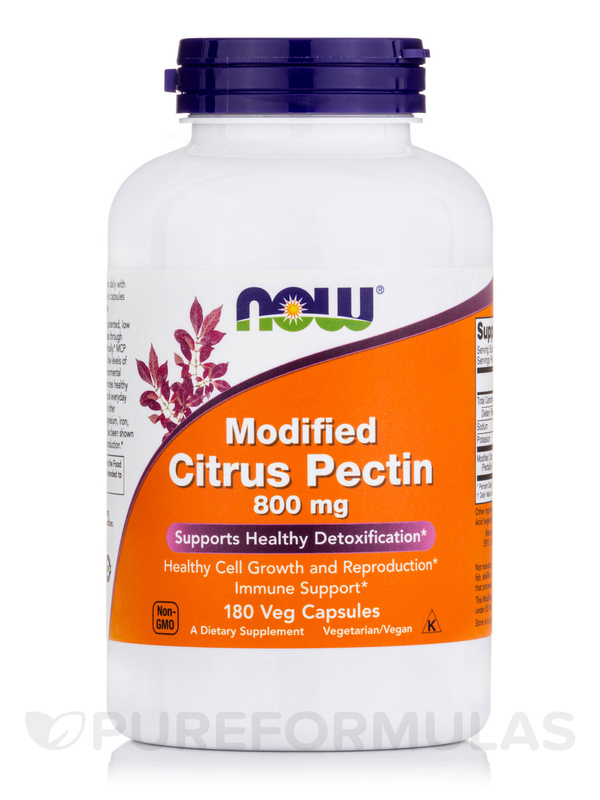 NOW® Modified Citrus Pectin (MCP) contains a patented‚ low molecular weight citrus pectin that can pass through the intestinal barrier so it can work systemically. 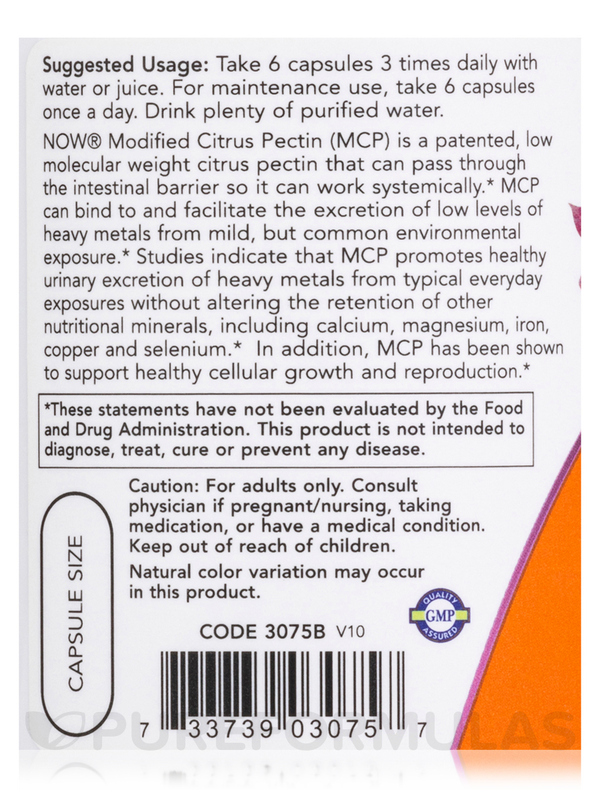 MCP can bind to and facilitate excretion of low levels of heavy metals that commonly come from mild environmental exposure. A recent study indicates that modified citrus pectin promotes healthy urinary excretion of common‚ mild environmental exposures of heavy metals such as mercury‚ arsenic‚ cadmium‚ lead and tin without altering excretion of other nutritional minerals‚ including calcium‚ magnesium‚ iron‚ copper and selenium. 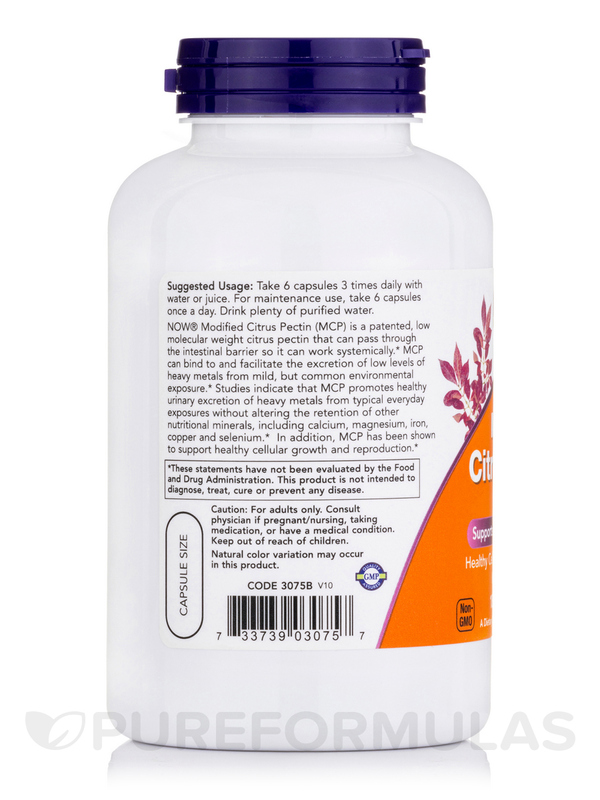 In addition‚ MCP has been shown to support healthy cellular growth and reproduction. 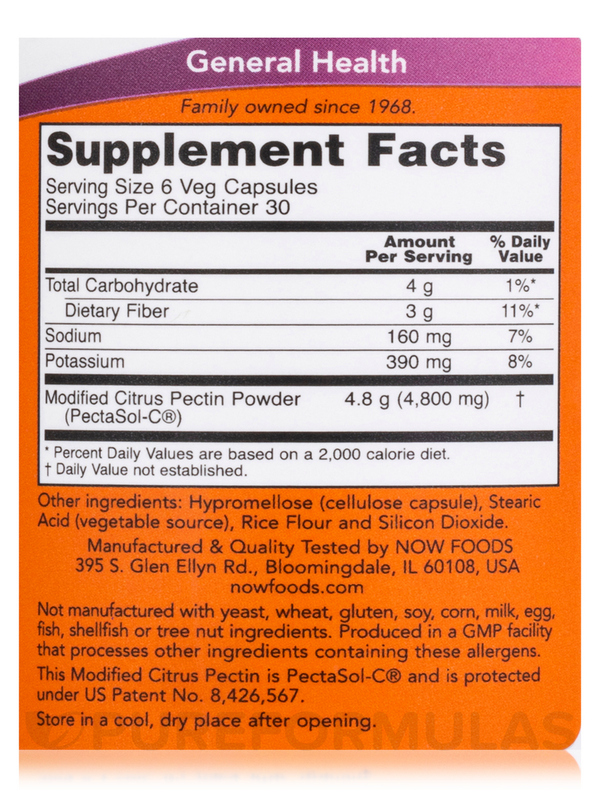 Other Ingredients: Cellulose (capsule)‚ stearic acid (vegetable source)‚ rice flour and silica. 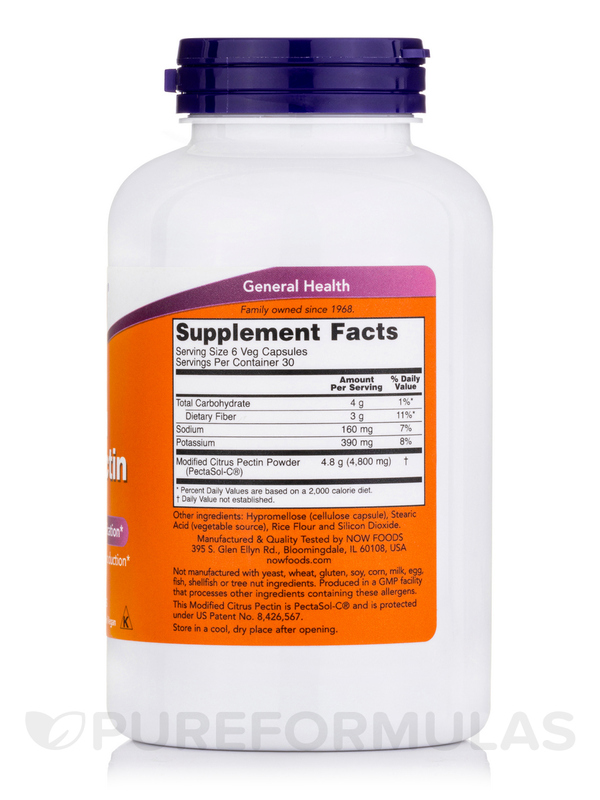 Take 6 capsules 3 times daily with water or juice. For maintenance use‚ take 6 capsules once a day. Drink plenty of purified water.